Essential oils can help prevent the development of stretch marks. They can also improve the appearance of stretch marks you already have! In this article, we'll discuss the best essential oils for stretch marks. There are lots of stretch mark creams out there. However, you can create your own using essential oils! Below we'll discuss some of the best essential oils for scars and stretch marks. But first, let's talk about what essential oils are and why they help heal your skin. Essential oils are natural oils that are extracted through distillation. They typically carry the scent of the actual plant from which they are derived. How do essential oils help with stretch marks? Essential oils have been shown to reduce the appearance of stretch marks because of their restorative and rejuvenating properties for skin. Concentrated essential oils are strong and can provide an abundance of vitamins and other nutrients directly to the skin. This increases skin’s elasticity and promotes healthy cell turnover. There is not just one best essential oil for stretch marks, as each oil has its own properties. In addition, each person's body will respond differently, so experiment and see what your body responds to the best! You can also use essential oil for old scars​. In addition, Shea butter and Cocoa butter are also great options to prevent and heal stretch marks! Another alternative to also consider is the ever popular bio oil. Essential oils need to be diluted with carrier oils such as coconut oil, olive oil, or avocado oil. This is due to the extreme concentration of essential oils. Warning: Applying oils directly to the skin can lead to reactions such as breakouts and irritation. They can even harm an unborn baby if you are using them while pregnant. Essential oils should always be mixed properly before use. If you plan on using essential oils for stretch marks during pregnancy, it's wise to consult your doctor first. Check out this dilution guide for essential oil dilution instructions. 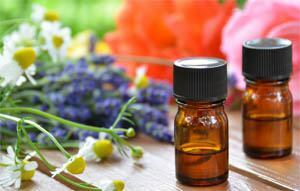 Some ailments linked to improper essential oil use include: neuro-toxicity, mucolytic irritation, convulsions, headaches, skin burning & discoloration, dermal sensitivity…even death. Always read the instructions on any essential oil products that you purchase and follow them. For example, some essential oils can burn you (2nd or 3rd degree) if you apply them and then go out in the sun! Be careful and always read and follow instructions on the specific product that you purchase. It's also important to store your essential oils properly so that they last. And of course, it's always wise to consult your doctor before trying any remedy! Your essential oil mixture should be applied at least two times per day or every twelve hours. Coconut oil can be a great carrier oil to use with essential oils. It is best to apply the oil mixture then massage the areas where stretch marks occur. Tip: When you get out of the shower, the pores are already open, and the oils will be absorbed by the skin easily. Massage the oil mixture into the skin for about two or three minutes and move on to the next spot. Here are 6 great tips for using essential oils for stretch marks. It is always better to try to prevent stretch marks before they pop up. Begin rubbing yourself with your essential oil mixture as early as you possibly can. Doing so will prep your skin so that it is supple and gains enough elasticity to stretch without tearing. Couple your daily massages with staying hydrated and properly nourishing your body. You have the perfect recipe on how to prevent stretch marks! If you are already plagued with them, the key to results is consistency. Remaining consistent in your essential oil regimen will yield better results than doing it when you remember. It's important that you accept and even embrace the fact that you have stretch marks. Acknowledge that they are not something you can control. Stretch marks are tears in the dermis, the second layer of skin. The dermis is nearly impossible to repair. However, the skin’s appearance can be improved. What works for one person may not work for another, so do your research. You can experiment to find what works best for you. 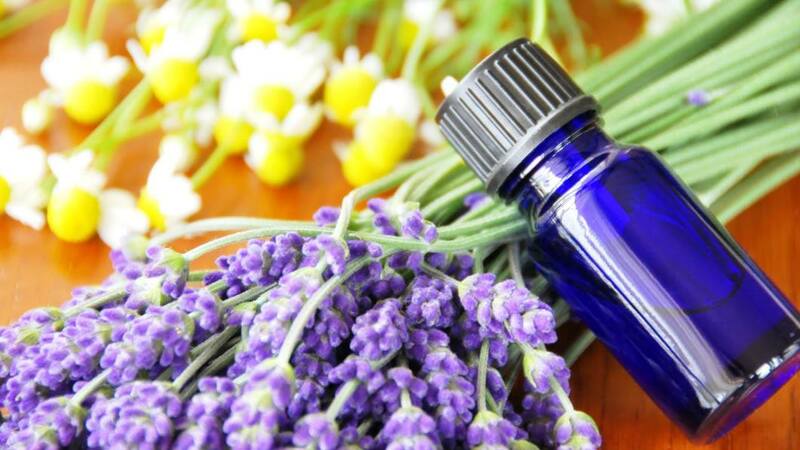 If you are not a fan of the smell of frankincense, then try lavender or Jasmine oil. Use more than one essential oil, dilute it with your favorite carrier oil and make yourself a stretch mark obliterating concoction. Applying certain essential oils to different parts of the body proves more beneficial than only using one all over. For example, peppermint oil is said to ward off headaches when applied to the temples. In addition, rosemary oil might lower blood pressure when applied to the chest and back, and lemongrass oil might promote milk production when applied to the breasts. Of course, less is ALWAYS more. If you’re tolerant enough, do some research and give it a try. Some essential oils cannot be applied directly to your skin, as they must be mixed correctly. Always do thorough research and consult your doctor before using them! Not all essential oils are safe for pregnancy. Be sure to consult your doctor ​before trying essential oils while pregnant. This one is obvious, but it's the most common mistake: make sure you're staying hydrated. Water is the best at making your skin look amazing. No super cream or essential oil can compete with good hydration. If you're not hydrated, your skin can not heal or look its best, so make sure you are keeping yourself hydrated. When mixed properly, these essential oils are some of the most popular and most effective for helping to reduce the appearance of stretch marks. Remember when you took a spoonful of castor oil in order to “clean you out?” UGH! While this disgustingly thick oil has best known for its “flushing” ability, castor oil also has restorative and regenerative properties for skin. 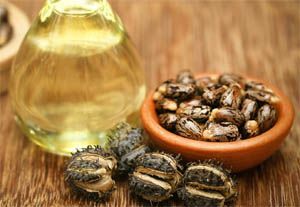 Castor oil has been shown to stimulate hair growth as well as prevent sagging, wrinkles, and fine lines. The ricinoleic acid that it contains is may help heal stretch marks, but this has not been confirmed. A common question I hear is does vitamin e oil help stretch marks? When taken topically, it has been shown that Vitamin E improves the skin’s overall health, therefore, reducing your chances of developing stretch marks. So, is vitamin e oil good for stretch marks? Most definitely! While it cannot eliminate your probability altogether, Vitamin E has proven that it can help prevent stretch marks as well as reduce the appearance of the ones that you already have. 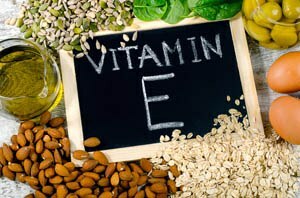 The abundance of restorative properties allows Vitamin E to work exactly where you need it the most. It is recommended to massage vitamin E oil into the skin in areas where stretch marks usually grow during pregnancy (belly, thighs, love handles, back, etc.). Known for its anti-inflammatory properties, tea tree oil helps diminish the appearance of stretch marks. When stretch marks occur, they are irritated and itchy. 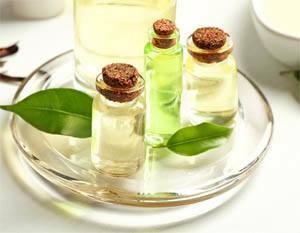 Tea tree oil not only prevents stretch marks, but it reduces inflammation so that the tear heals faster. Jasmine oil, derived from the Jasmine flower, has shown to have skin healing properties. It promotes healthy cell turnover and reduces scarring. This is especially important since stretch marks are scars that result from the dermis tearing. 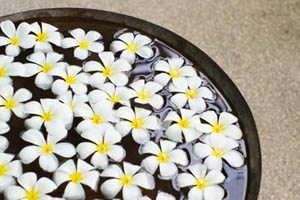 Jasmine improves elasticity in the skin and helps prevent stretch marks from forming. Jasmine will also improve the appearance of those that are already there. Chock full of linoleic and linolenic fatty acids, rosehip oil prevents and treats skin ailments, including stretch marks. 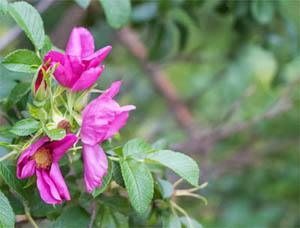 Rosehip oil also reduces scars, minimizes wrinkles, and improves the overall condition of the skin. 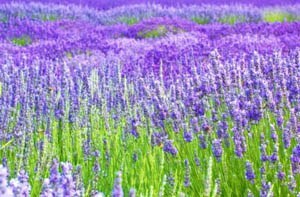 Yes, lavender oil can be used for more than going to sleep. This oil rejuvenates and tones the skin which helps improve the overall appearance of stretch marks. Lavender oil prevents stretch marks from forming by keeping the skin tight and supple. This musky oil, derived from an evergreen perennial, belongs to the mint, lavender and sage family. Patchouli oil promotes healthy cell turnover, which allows the skin to heal quickly and prevents scarring. It also prevents wrinkles and reduces and prevents cellulite. So while you are waiting for your stretch marks to fade away and striving to look like your old self again, keep in mind that you are perfect the way that you are. Embrace the changes you have gone through. Love the woman that you have become and the child that you gave life.